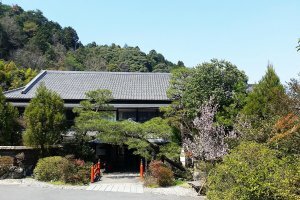 Nanten-en is a very traditional ryokan with natural hot-springs, deep in the countryside of southern Osaka Prefecture. 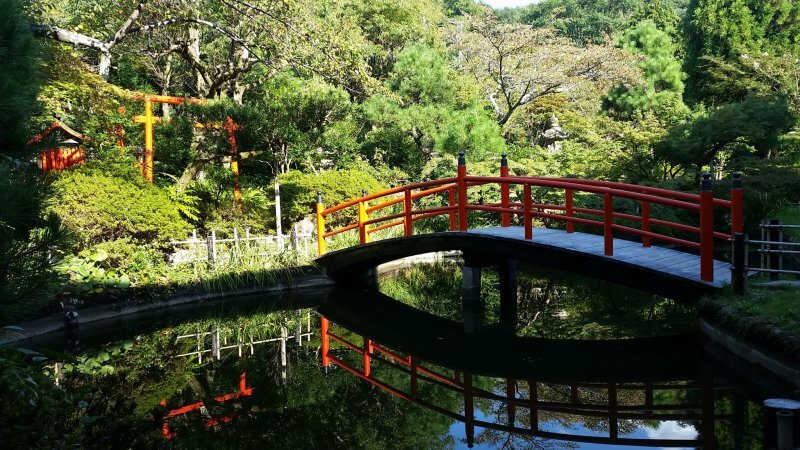 Surrounded by the forests and hills that mark the border with Wakayama Prefecture, it is hard to believe that one is only 40 minutes from the bustle and bright lights of central Namba. The main building of Nanten-en is a registered cultural asset of Osaka Prefecture and is around 100 years old. It was designed by the famed architect, Tatsuno Kingo, who is famous for his work on the iconic Tokyo Station as well as numerous other buildings around the country. 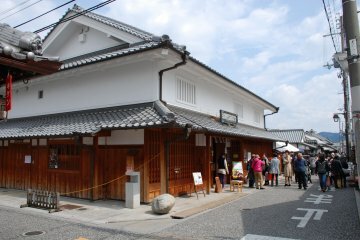 The main building still bears many of the hallmarks of its late Taisho and early Showa period heritage. While it has been updated and upgraded several times throughout its history, the owners have always taken care to retain the atmosphere of the earlier years. There are only 13 guest rooms within the main building, ranging from 4.5 tatami mats (perfect for a couple) up to 8 or even 10 tatami mat rooms, some with additional smaller anterooms that are great for families. Not all of the rooms have their own bathroom however. The age and listed status of the main building makes it difficult to make large scale changes. Its "Superior" type rooms have their own washroom with toilet and sink, but the "Standard" type have shared public restrooms. 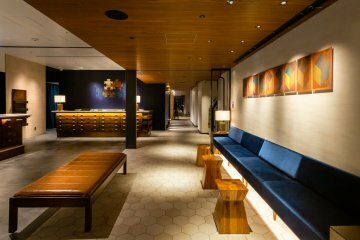 None of the rooms have their own shower, so all must use the showers within the onsen area. There is one final room which is actually situated in a private annex within the gardens. 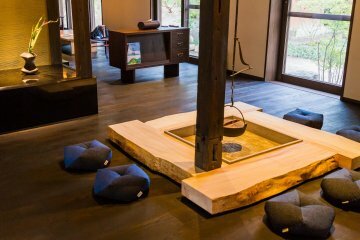 This VIP style room comprises of two 8 tatami mat rooms, an Irori (room with a sunken fireplace), private shower and bathroom facilities as well as its own outdoor hot-spring. 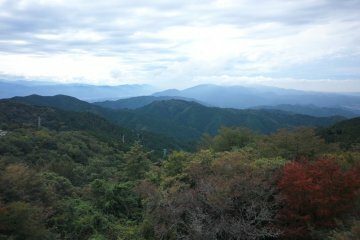 It also has its own veranda, overlooking the little Amami River. As with most traditional inns, the most common type of dinner is Kaiseki. These are multiple course dinners made up of dainty dishes prepared with the finest local and seasonal ingredients. The menus change on a monthly basis and they even have vegetarian Kaiseki options available on request. With large numbers of guests from overseas, they have even been able to prepare vegan and kosher meals. There are other options too including Sukiyaki (thin slices of top grade beef fried in a shallow pan with sweetened soy sauce) and Shabu-Shabu (thin slices of top grade beef or pork cooked in a healthy broth). The winter season also sees the addition of several kinds of Nabe hotpots. Nanten-en has its own hot-springs which are rich in natural radium. This makes them perfect for easing blood-pressure, relaxing tired muscles and softening the skin. The onsen are separate for men and women and open 24 hours a day. 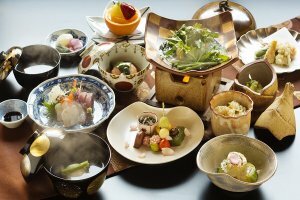 As well as guests staying overnight, they also offer lunch packages where you can enjoy a kaiseki lunch in a private room followed by a dip in the onsen. It also boasts its own private gardens which are always changing with the seasons. With plenty of cherry blossoms in spring and fiery maples in autumn. 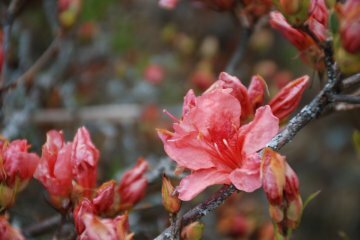 While summer sees the lush greens of the rainy season and winter the bright red Nanten bushes from which the inn takes its name. Around Nanten-en there is very little in the way of civilisation. 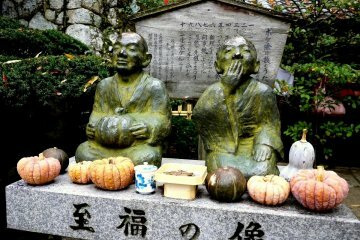 The nearby villages of Amami, Nagaretani and Chihayaguchi are quaint farming communities with many old houses and terraced fields with plenty of local myths and small shrines which are well worth exploring. The owner of Nanten-en is an Omotesenke Tea Master as well as a master of Ikebana flower arranging. Each day, he prepares displays of fresh wild-flowers to place in the tokonoma alcoves of the rooms. 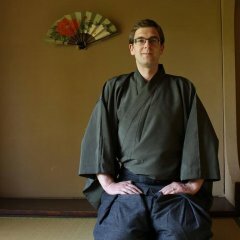 He also regularly holds tea ceremonies with guests, assisted by an English speaking member of staff where he loves to share his vast knowledge of history and philosophy. Several of the front desk staff (including myself) have excellent English and as such, can easily cater for tourists from all corners of the globe. 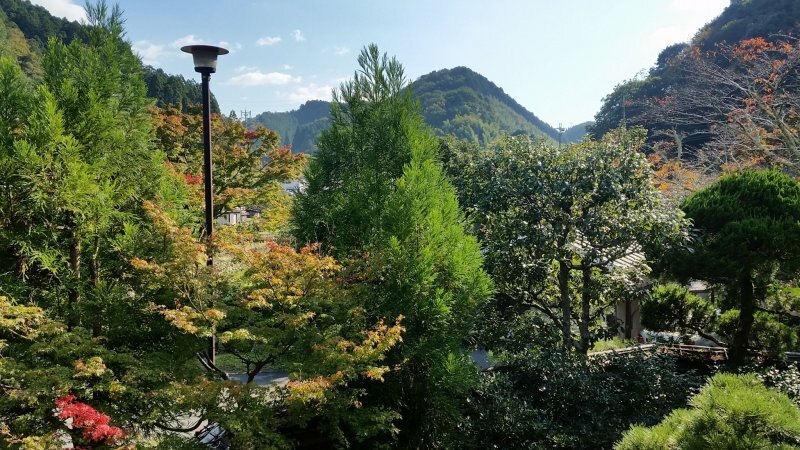 As a history buff myself, I love to talk about the local history of the city of Kawachinagano and share some of my favourite stories and places of interest. 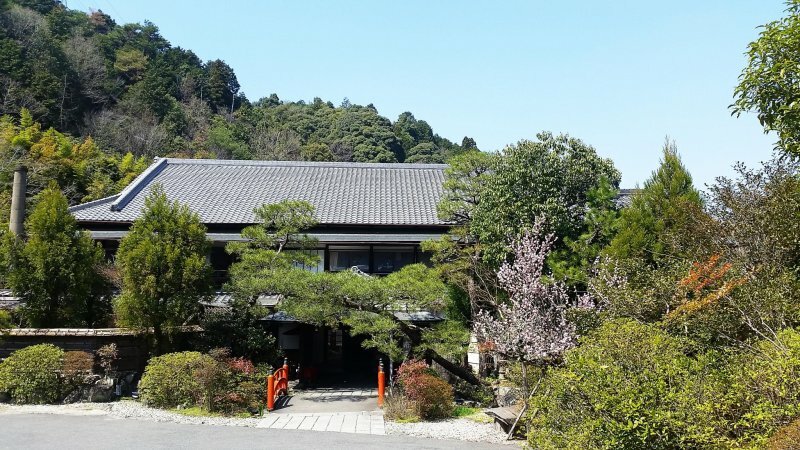 In addition to the front desk staff, guests are cared for by our O-hakobi-san, the kimono clad ladies (and one young guy who wears a hakama) that serve dinner in the rooms using the proper and sometimes complicated etiquette. For people looking for an escape from the busy cities, or to rest their weary muscles before or after a long flight, Nanten-en is the perfect place to unwind and absorb some real traditional culture and village life. Nanten-en can be easily reached by train from central Osaka and Kansai Airport. From Nankai Namba Station, take the Nankai Koya Line (the train line which leads to Koyasan). Any express train (orange sign) bound for Hashimoto or sub express (green sign) bound for Rinkanden-Entoshi will stop at Amami Station. 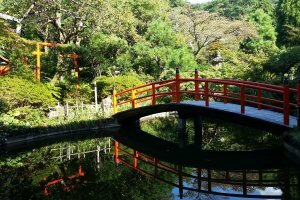 Nanten-en is a 1 minute walk from Amami Station. From Kansai Airport, take the Nankai Main/Airport Line to Tengachaya Station and then change to the Nankai Koya Line using the same trains as above. 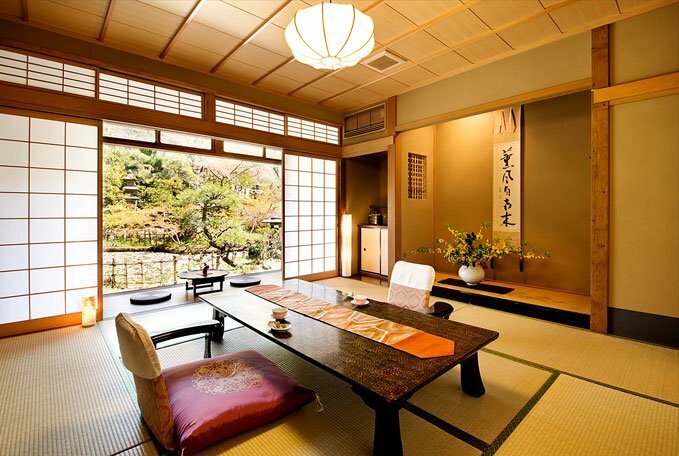 I work for a very traditional ryokan deep in the countryside of southern Osaka. I have a fascination with Japanese history and culture and am lucky that my work gets me deeply involved with both. 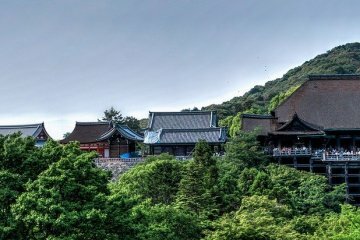 When I am not welcoming guests or assisting in tea ceremonies, I can be found wandering the the more unknown historical sites and nature trails of southern Kansai. The further you go from the main cities, the more opportunities you have to discover authentic experiences, all to yourself. 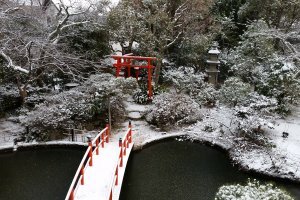 What makes Nanten-en unique is the English speaking staff with a deep understanding of international tourists, giving you the timeless experiences you usually get in places in Shikoku at a hot spring less than 60 minutes from downtown Osaka. 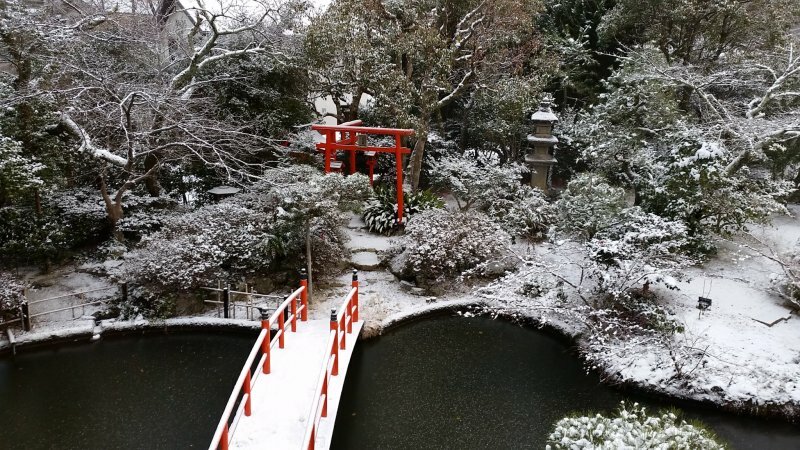 Looks beautiful - especially the garden with the dusting of snow! Snowy days are my favourite for walking in the garden but we are lucky if we get just a few snow days per year. Fall comes a close second though! Precisely! 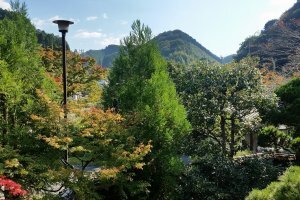 And we are off the beaten track enough that there are plenty of places nearby with stunning spring and autumn foliage without the crowds that descend on Kyoto or Koyasan or even Minoo in northern Osaka.